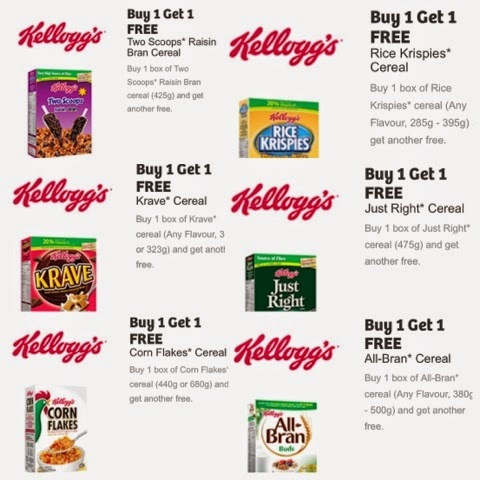 Right now on the Kellogg's Websaver Portal, you can print 6 different Buy 1 Get 1 Free Cereal coupons. This deal is only available for a limited time. Print them while supplies last.